Sanity Claws Radio – Predictions 2016! We start the year in style with our annual prediction show in this episode of Sanity Claws Radio. Scotty, Karen, Jon, and Mike ring in 2016 with our annual prediction show! We start off by checking our predictions from last year to see how right, or more likely, just how wrong we were! Then, we look into our crystal balls to make predictions for 2016! Join in Won’t you? 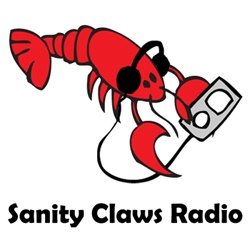 ← Sanity Claws Radio – End of the Fourth Fiscal Quarter 2015!